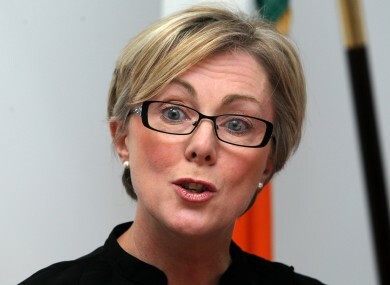 FINE GAEL’S REGINA Doherty may have to repay the €15,829 annual allowance she was paid during her time as Chief Whip. During Leaders’ Questions this afternoon, Labour’s Brendan Howlin claimed the payment was unlawful under existing legislation. Howlin also claimed that no such payment can be made to her successor, Government Chief Whip Joe McHugh (Doherty was appointed Minister for Social Protection last week). Describing the situation as “a mess” which was created by former Taoiseach Enda Kenny, Howlin said the new Taoiseach has made matters worse by seeking “additional jobs for Fine Gael deputies”. “The Whip was paid an allowance of €15,829 for her role as Government Whip. No such position exists under law… the allowance was paid to the Government Whip on the understanding that the Government Whip was actually being paid for her responsibilities as Fine Gael Whip. “This might seem like a technical and minor matter, however under the law no allowance can be paid to a party Whip, if that person is a Minister or a Minister of State. This means that one cannot pay such an allowance to the new Government Chief Whip,” explained Howlin. Taoiseach Leo Varadkar said it has been a longstanding practice that the Chief Whip had a Chief Whip’s allowance, just as there are allowances for the assistant Government Whips. “I do not accept that the payment of a Chief Whip’s allowance or any allowances paid to Whips in this House is somehow illegal, but I will examine the matter further and make whatever changes or recoveries are necessary if what the deputy says is correct,” he said. Howlin insisted that the Taoiseach will find he is correct in his assertion. Varadkar said it is his intention that all Ministers of State who attend the Cabinet should be paid the same salary, but if this requires legislation, it will not be priority legislation. “Of course we will comply with the law if there has been an overpayment. If so, yes, absolutely, such an overpayment would have to be recouped. I will have to examine the situation and understand it fully. “The interest of the Ministers who sit around my Cabinet table is not in salaries and allowances, so I will not prioritise any legislation to afford an allowance that does not already exist. The focus of this Government will be on getting through legislation that matters to the people and members of the public. I will not introduce legislation at an early stage to provide any additional allowances to any politician,” insisted Varadkar. Email “Regina Doherty may have to repay €15,829 of Chief Whip allowance if it was unlawful ”. Feedback on “Regina Doherty may have to repay €15,829 of Chief Whip allowance if it was unlawful ”.